The estimation of noisily observed states from a sequence of data has traditionally incorporated ideas from Hilbert spaces and calculus-based probability theory. As conditional expectation is the key concept, the correct setting for filtering theory is that of a probability space. Graduate engineers, mathematicians and those working in quantitative finance wishing to use filtering techniques will find in the first half of this book an accessible introduction to measure theory, stochastic calculus, and stochastic processes, with particular emphasis on martingales and Brownian motion. Exercises are included. 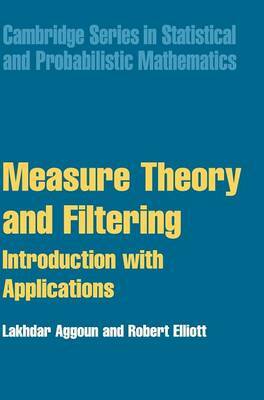 The book then provides an excellent users' guide to filtering: basic theory is followed by a thorough treatment of Kalman filtering, including recent results which extend the Kalman filter to provide parameter estimates. These ideas are then applied to problems arising in finance, genetics and population modelling in three separate chapters, making this a comprehensive resource for both practitioners and researchers.